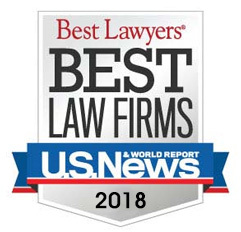 Clients enjoy working with Plunkett Cooney because of our unique qualities - our commitment to obtaining the right results, our personalized approach to the practice of law, our expertise in distinct areas of litigation and transactional work and our fearless determination to meet any challenge. As the firm continues to grow, we welcome established attorneys who are seeking to provide more comprehensive services to their clients. Plunkett Cooney's geographic reach and substantive legal practice make it the ideal place for many seasoned attorneys in transition. Formal practice groups, 11 strategically located offices in Michigan, Illinois, Indiana and Ohio, coupled with the newest technology make practicing law at Plunkett Cooney more convenient, effective and flexible than ever before. If you are ready to join a firm that places client service and professional fulfillment at the forefront, Plunkett Cooney may be the place for you!